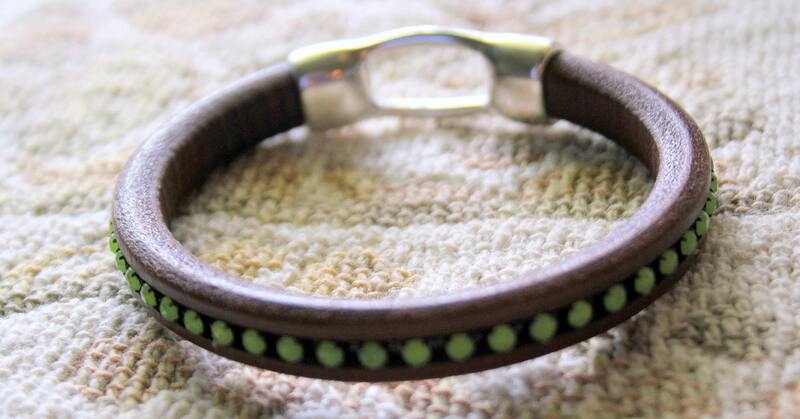 The leather part of this bangle is made from Licorice leather embedded with peridot green cup chain. 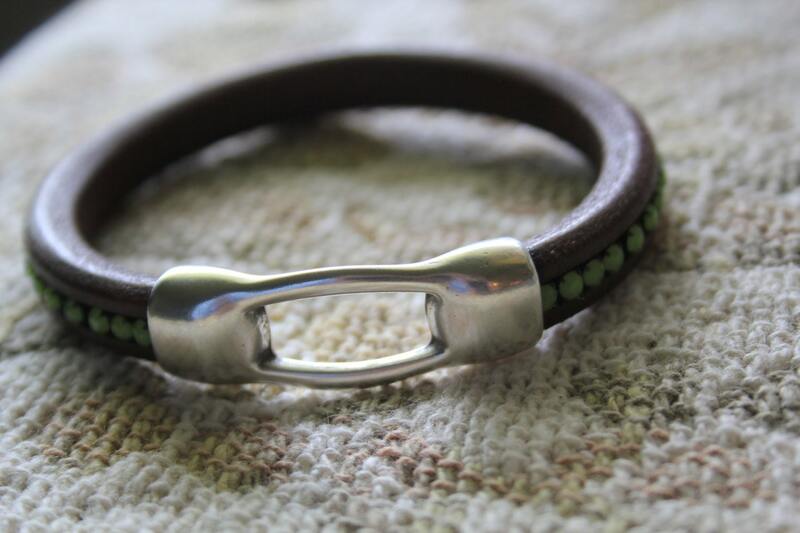 The leather is a rich chocolate brown and the peridot colored inset cup chain is not shiny and have a rich, soft glow. The bracelet is held together with a silver toned, hypoallergenic silver metal spacer with a cutout in the middle. It looks good with sporty clothes, jeans or dressed up. The bracelet fits most wrists up to 7 3/4 ". My hand is 4" across from little finger to the outside edge of my thumb and it slides on easily over my hand.